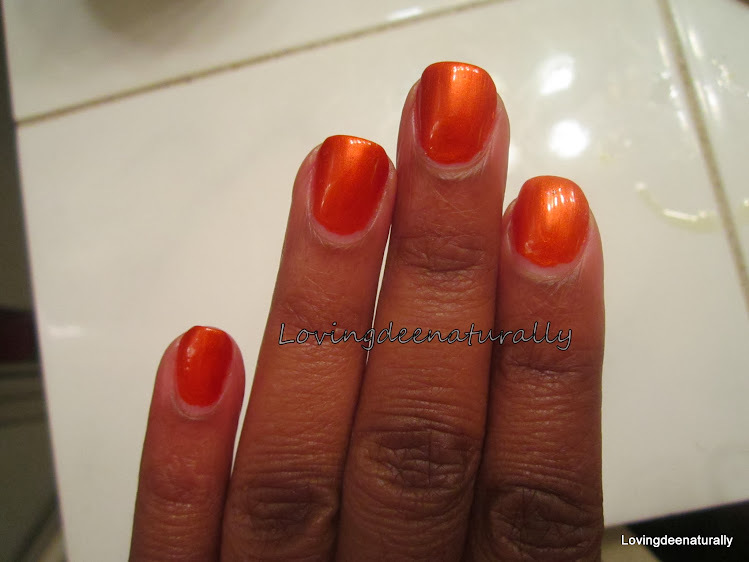 Loving Dee Naturally : My Nails ""
I'm really excited to write this post. I have already shared on G+ that I've decided to start taking care of my nails. I want to grow my NATURAL nails. Years ago I used to have the acrylic tips and silk wraps and the gel manicures and the whole nine yards. I was working and wearing my nails back in the day. While those things are fine, at this point in my life I just want to learn to take care of and grow my natural nails so the pictures you will see are of my natural nails. I don't use any gel manicure or gel polish products on them, just regular nail products. I do use strengtheners and such because I have thin nails that get really, really soft when they get wet. The first pics that I will share show about 2 weeks worth of care and the growth that occurred. My nails were really short to begin with because I did not take care of my nails...I gave them no thought whatsoever. I don't have any "before" pictures b/c, like I said, I gave them no thought so taking pictures of them wasn't even on the radar. Here are the first pics from 2 weeks ago. 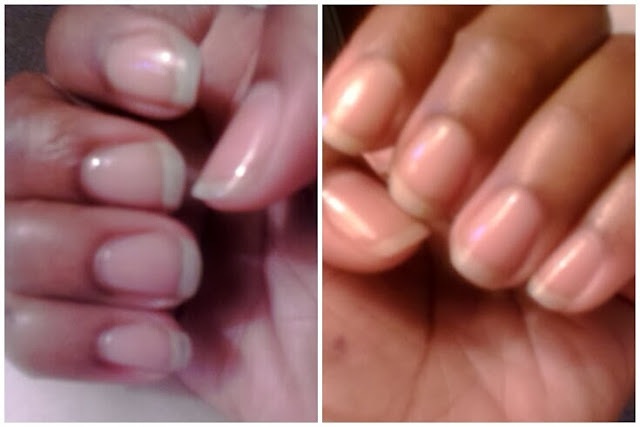 I had started taking care of my nails about 2 weeks prior to these pics so these pics show 2 weeks of growth. One of the first things I did to begin taking care of my nails is to make my own cuticle oil. I moisturize my cuticles and nails(especially when bare) several times a day. I started this routine/regimen from the beginning before using any kind of nail treatment or polish. I put my cuticle oil in an old cleaned out Avon cuticle gel bottle. This picture is about 3 weeks worth of growth. I let my nails stay bare for about 2-3 days in between my manicures and moisturize with just my cuticle oil multiple times a day to allow my nails to absorb the oil to strengthen the nail and to balance that strength with flexibility. The oil makes nails flexible so they don't become brittle and break when bumped into things during the course of everyday life. This manicure lasted for 5 days. This is the longest I've gone with a manicure with minimal chipping and polish cracking. I think I finally have a good combination of topcoats...yes I use 2 different (kinds) of topcoats. 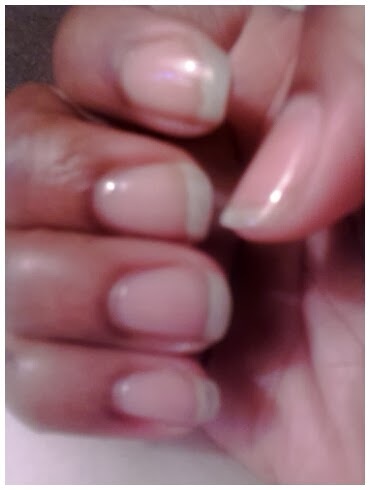 Okay, this ends my first pictoral of 4 weeks of nail care and growth. My plan is to share exactly what I do, what I use and the information that I have garnered on the subject of nailcare in future posts. Won't you join me on this, yet another 'natural' journey?